Every time someone in this town closes the lid on a grill and sets a timer, a hair stands up on the back of Kevin Gillespie’s neck. 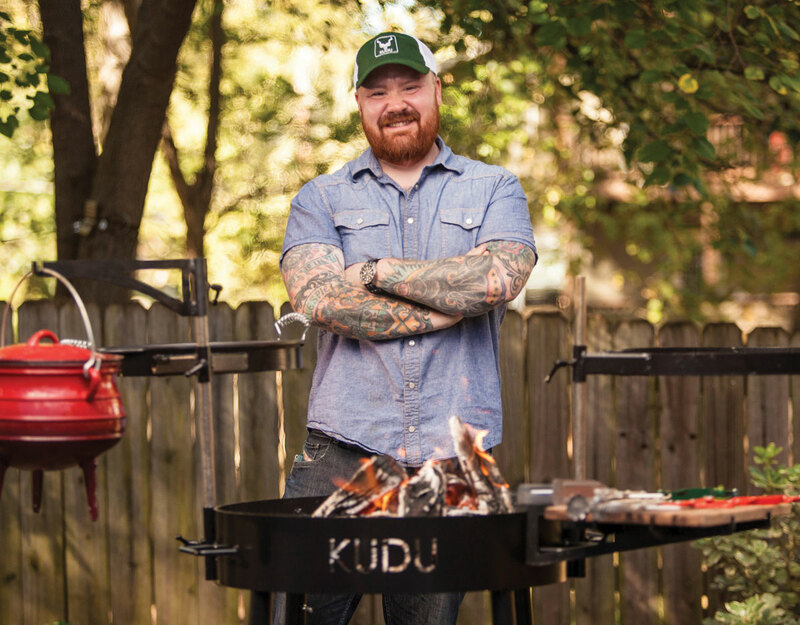 “That’s just a really bad principle for cooking in general,” says the chef, who—along with Macon-based entrepreneur Stebin Horne—created a South African–style open grill called the Kudu. (Thanks, Kickstarter!) “So much of your success as a cook relies on instinct, and you’ve got to be able to see and touch your food to tell when it’s done,” says Gillespie. While there’s no lid on the Kudu, there are two arms, one on either side of the fire pit, with tray attachments that can be swung back and forth and up and down over the heat. That’s the most basic and efficient way to control temperature, after all—distance from the fire. Could the Kudu take the place of the (heavily lidded) Big Green Egg in the hearts and minds of our city’s best chefs? Only time will tell, but Bizarre Foods host Andrew Zimmern is a fan.